Association goes to bat for buyers, agents in election season. With a British Columbia election on the horizon – and housing affordability one of the main issues at the centre of many campaigns, the British Columbia Real Estate Association is sharing its suggestions for addressing that major issue. The association said it plans to contribute significantly to the discussion, proposing a number of suggestions aimed at making housing more accessible for all British Columbians. • Ensure the Property Transfer Tax accurately reflects the dynamic nature of the real estate market. Provide direct assistance to home-buyers, homeowners and renters. 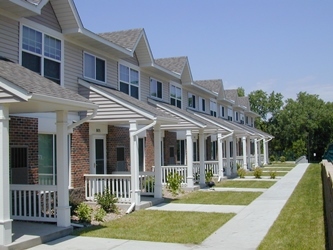 • Encourage the creation of rental housing. • Make evidence-based policy decisions. • Encourage greater density in urban areas. • Promote best practices among local governments. To promote these recommendations, the association will publish an election plan. “Over the next few months, BCREA will work hard to make these messages heard,” BCREA said. “The Association will attend housing affordability events and meet with all major political parties to share these recommendations and understand each party’s commitments around housing affordability. REP will follow along as more details of BCREA’s plan are unveiled.